More than just a celebrity spouse, Hallie Gnatovich has an impressive resume and is quite successful in her own right. While many know facts and details about Josh Gates, the star of the hit show Destination Truth, only a few are aware that Gnatovich is his better half and the woman behind his smiles. Read on to unearth lesser-known facts about the celebrity wife, actress, and a licensed marriage/family therapist. Best known for her simple lifestyle, Hallie Gnatovich hasn’t been quite generous with information about her life, childhood, and early education. While she is known to have been born in America in the year 1981, the exact birthplace and date are unknown. Hallie is a graduate of Oberlin College where she studied Theatre from 2000 to 2004. However, in her further studies, Gnatovich seemed to have discovered a new calling and made a switch. She obtained a Masters degree in Marriage and Family Therapy/Counselling in the year 2010. Hallie first began her career as a thespian, initially playing minor roles on Syfy’s Destination Truth series. It was on the show that she met her future husband Josh Gates, the co-producer and host of the show. Prior to making her appearance on 8 episodes of the series, Hallie had first worked as one of the researchers behind the scene. As an actress, she also featured in the 2007 film Archer House. But Gnatovich is better known as a therapist helping people with their mental health. Her therapeutic services began in 2010 and range from helping the young and the old to people with maternal distress and also LGBTQ challenges, among others. As a licensed marriage and family therapist, Hallie is also trained and certified in mindfulness, a boost to help her handle and manage people’s problems. According to her corporate website www.halliegtherapy.com, a therapy session with Hallie feels balanced and collaborative. For her, the first step in treatment is to explore a client’s background, beliefs, and thoughts which then spurns into a process of developing new goals and routines. Gnatovich’s charges are quite affordable at rates between $125 – $150 per session for both individuals and couples. Hallie also worked as an associate consultant at MedAvante-ProPhase where she helped in training pharmaceutical researchers in DSM symptomatology. It is no news that Hallie Gnatovich is the woman behind Josh Gates’ smiles. 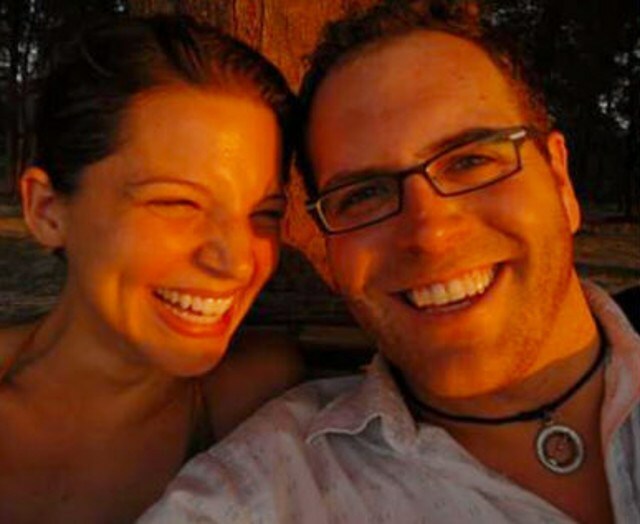 The couple met on the set of the Destination Truth series when Hallie was working as one of the research crew. They soon established a romantic connection and later got engaged on the set of the show. Hallie and Josh made their relationship official in the fall of 2014 as they tied the knot at a private ceremony in Maine. It wasn’t long before Hallie was put in a family way. Since their marriage, Hallie and Josh have been known to incorporate bits and pieces of their lives into the Destination Truth show. One of such very memorable episodes on the show was the “Secrets of Colombus” wherein Hallie called in live to inform Josh that they were expecting a baby. That episode was not only emotional for Josh but also a life-changing one. The family-oriented couple has two kids together, a son Owen born in February 2016 and a daughter born in February 2018. Hallie and Josh who currently live in West Hollywood, California, have been going on strong in their marriage and show no signs of discord. Hallie’s husband Josh Gates is the star explorer of Expedition Unknown, a weekly Travel Channel hit show that unearths and discusses some of the world’s greatest unspoken legends. He is renowned as the host and co-executive producer of the show initially known as Destination Truth on SyFy channel which was aired from 2007 to 2012. Besides his favorite hobby which is exploring, Gates is also an avid diver and photographer. He has sojourned on a number of expeditions in the Mediterranean. In addition to hosting, Gates is also an author with a successful book, Destination Truth: Memoirs of a Monster Hunter, under his belt. 1. Gnatovich also practices Kundalini yoga, a blend of spiritual and physical wellness aimed at building physical vitality and increasing consciousness. 2. Hallie’s therapy firm is located in West Hollywood, California. 3. She does not have an active social media life. Besides her Twitter account with about 1.9k followers, Hallie is inactive on other popular platforms including Instagram and Facebook.